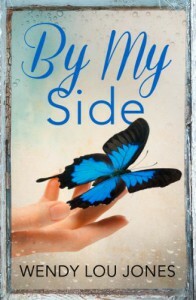 'By My Side' is a well written medical romance with a unique twist. Authentic medical references give the story a realistic edge. There are two stories in 'By My Side'. The first adds a fascinating dimension, yet is so simple it doesn't detract from the complex medical romance of the second story. Katy is an A&E nurse, a likeable character who often speaks before she fully engages her brain. Adam is an Orthopaedic consultant who is dedicated and good at his job but struggles with his people skills. This flaw is a nice authentic touch. Damaged by his past Adam doesn't want to like Katy but she starts to get under his skin. Their love story is full of twists and tragedy but the romance is heart warming.